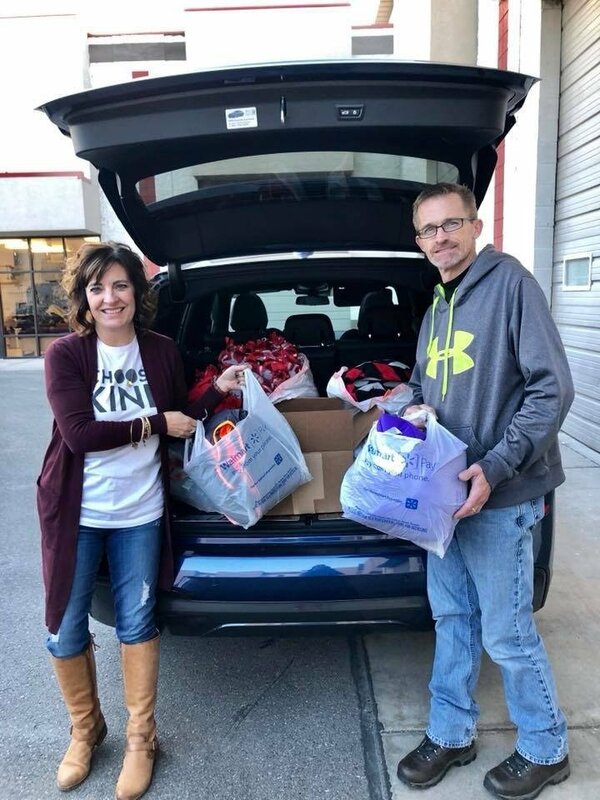 Board of directors member Shauna Thorpe, left, and founder Ted Chalfant, right, get ready to deliver a few of their comfort kits. Ted and Stefanee Chalfant wanted to make a difference in their community. In 2014, they founded Little Lambs Foundation for Kids. Their goal was to help children who are transitioning into foster care, entering emergency shelters, or affected by a traumatic situation. 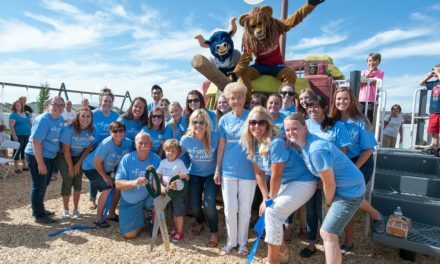 For Ted, it was important to do something that would benefit local children. That’s when he reflected back to a few specific memories from his childhood. The Chalfants started to think of ways they could provide comfort to foster children during their time of need. In most cases, the children can’t bring anything with them when they are removed from their home. Ted and Stefanee decided to create a personalized comfort kit. A blanket, book, plush animal, toys, socks, crayons, coloring book, and a hygiene kit are placed nicely into a new backpack. Over time, different kits have been developed to meet the needs of young community members. These include: comfort kits, teenage hygiene kits, school supply kits, police car kits, family hygiene kits, and hospital busy kits. 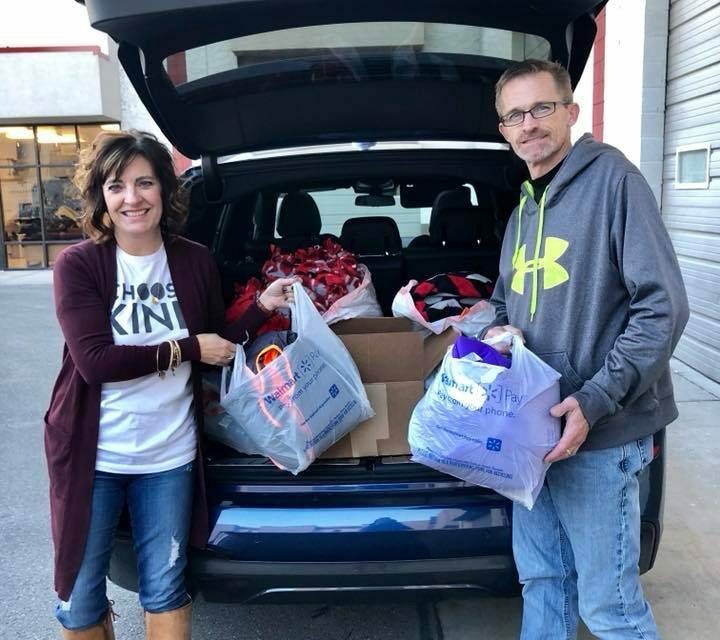 With the help of their volunteers, Ted and Stefanee deliver comfort kits weekly to many Cache Valley agencies and partners throughout Utah and Southeast Idaho. They also deliver items to local non-profit organizations like Citizens Against Physical and Sexual Abuse (CAPSA) and The Family Place. When Ted and Stefanee first started Little Lambs, they set a goal to help 40 to 50 kids a year. Within the first six months, they distributed 750 comfort kits. In 2015, they distributed more than 1,000 comfort kits. During the first two years, the couple assembled comfort kits in the basement of their home. In 2016, they moved to their current location at 1125 W 400 N Suite 200 in Logan. With this new location they are able to help even more children throughout Utah. In 2016, they delivered more than 1,700 comfort kits and helped more than 3,000 children with other basic necessities. In 2017, they delivered more than 2,600 comfort kits and helped more than 5,000 children with basic necessities. 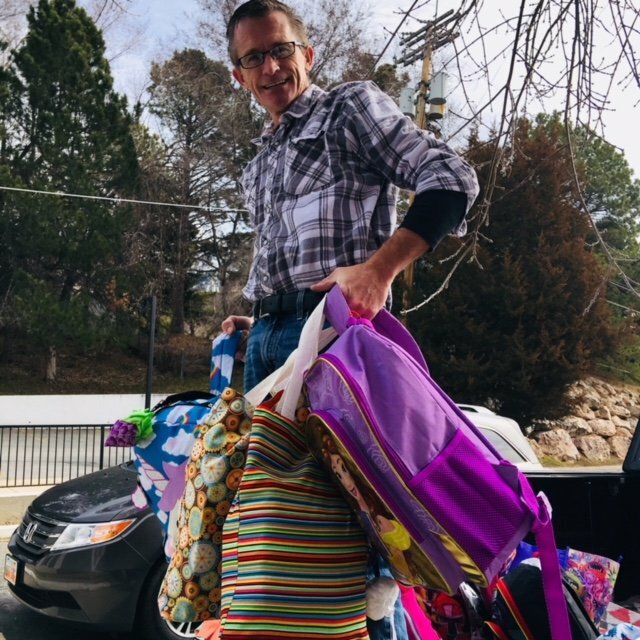 Ted Chalfant carries several of their comfort kits that ready to be delivered throughout Utah. Ted said this service wouldn’t be possible without the support of the community. Little Lambs relies on donated and handmade items. Shauna Thorpe has been one of their committed volunteers, and is now a part of their board of directors. Shauna said her first experience at Little Lambs was during one of their regular packing events. Ted’s story inspired Shauna to keep coming back and get her family involved. One of Shauna’s responsibilities is to oversee their newly founded Youth Ambassadors Program. The program is designed to provide an outlet for youth to get involved and help serve other local children. In addition to volunteering, members of the community can donate items for the comfort kits. Donations can include blankets, books, hygiene items, plush animals, toys, socks, and snacks. All donations must be new or handmade. 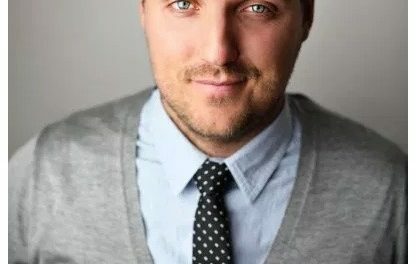 Donations can be dropped off at their center on Thursdays from 4 to 7 p.m.
Community members can also make monetary donations online at littlelambsofutah.com. Financial contributions are used to purchase books, backpacks, and other items that are typically not donated. People can also donate to the Little Lambs cause through AmazonSmile. Little Lambs holds packing events throughout the year. Every year they host a back-to-school event where volunteers can help assemble school supply kits for local children who do not have access to school supplies. Last year, they helped more than 500 children feel confident and prepared with the tools needed to succeed. Moving forward, Ted said they will continue to help more children each year. 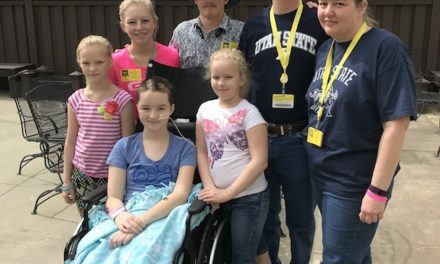 For more information about Little Lambs Foundation for Kids, and to learn how you can support their cause, visit littlelambsofutah.com.